Artwork Panel: 52.7cm x 98cm ≈ 20¾" x 38½"
This depicts an old man enjoying a fishing trip. 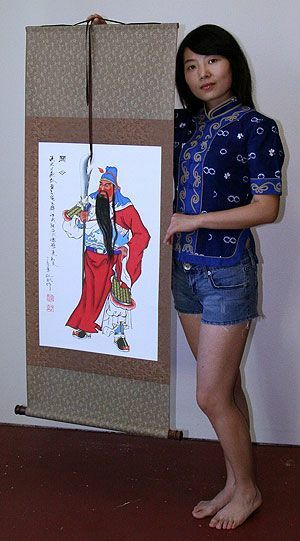 The old man's name is Jiang Ziya sometimes known as Jiang Tai Gong of the famous idiom. 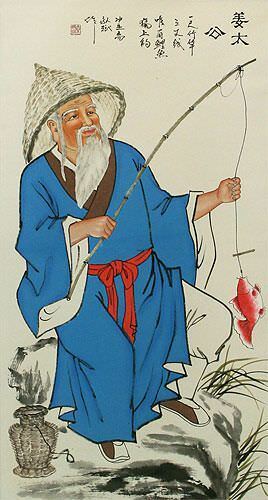 Jiang Tai Gong was famous for not putting bait on his hook, and saying, "I only wish to catch fish who want to be caught". He did not believe in using forceful methods, and instead wanted nature to take its course.